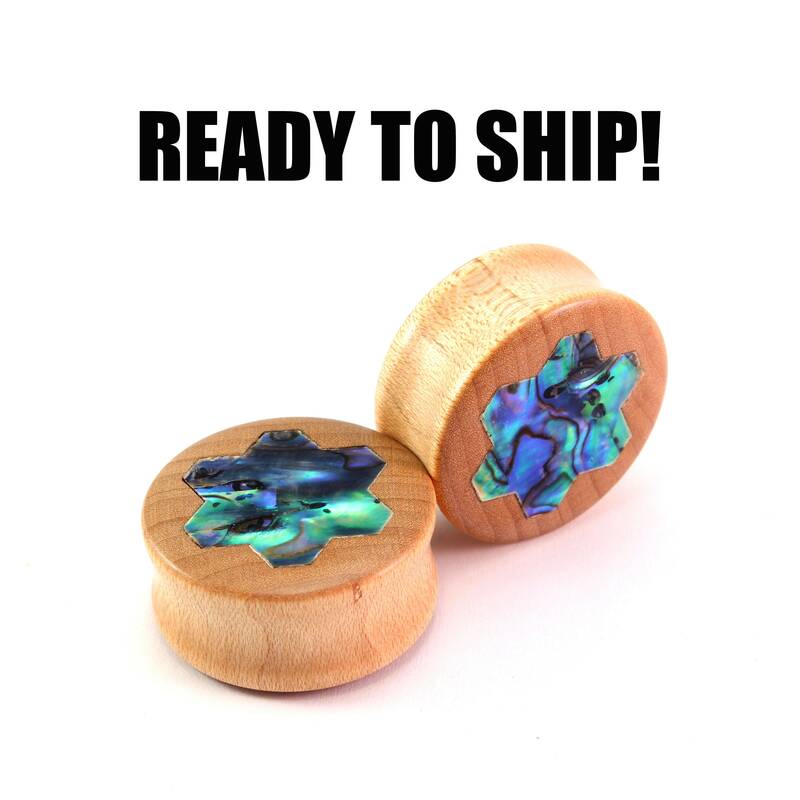 READY TO SHIP - 1 (25.5mm) Maple Honeycomb Inlay Wooden Plugs - Pair - Honeybee - Premade Gauges Ship Within 1 Business Day! READY TO SHIP - 1" (25.5mm) Maple Honeycomb Inlay Wooden Plugs - Pair - Honeybee - Premade Gauges Ship Within 1 Business Day! These wooden plugs are made of Maple wood with a Honeycomb Inlay design. They're sized at 1" (25.5mm). These would be great for that Honeybee lover.